NIGERIA, no doubt, has had a chequered history. The country would appear as a contradiction of some sorts. And we live in the realities of this contradiction. A country that is hugely blessed with natural resources is plagued with wanton environmental degradation and acute economic poverty. A country that is endowed with the best of productive soil and massive arable land imports a large percentage of its food. There is no gainsaying the fact that there is a huge gap between where Nigeria is and where it could and should be. It is therefore the desire of every well-meaning and patriotic Nigerian to see the country more from poverty to prosperity, from doldrums to enviable heights of rapid development and advancement. But if wishes were horses, it is said, beggars would ride on horses. Nothing happens by chances or wishful thinking but by conscious efforts at concrete steps and actions. In apparent fantasy, one would imagine Nigeria in the United Nations Security Council or the G20 of most economically advanced nations. It is, however, possible. In the words of a former president of the United States of America, Nigeria has got all a nation requires to attain greatness. The question is if we can, why haven’t we? Asking the right questions and giving honest answers remains the only guaranteed way of solving problems. And the concluding question would be, if we can, why won’t we? As in every problem-solving science, a proper root-cause analysis is important in resolving Nigeria and putting it on the path of greatness. The journey to Nigerian state started with amalgamation of the two British protectorates in 1914 and since the interest of the colonial masters was the overriding factor, coupled with the cultural differences along with the resultant orientation and interests of the major sections of the amalgamated state, Nigeria was in 1960 at independence built upon mistrust amongst its constituent parts. This in turn engendered a serious political rivalry and intolerance that denied the country of a collective sense of direction. It rather bred sentiments. It bred nepotism. And the natural consequence is misgovernance. The country was run aground through corruption and the collapse of what would rather have been proper governance structures and institution. Corruption in government and desperation of survival by the populace due to limited opportunities negatively impacted on societal values, which were quickly eroded and in every facet of our lives, we migrated to the stage of “anything goes”. Corruption became the order of the day and every sector of human development collapsed from education to health, from infrastructure to industry and from security to communality. Here we are today. It is said that when trees fall on one another, you begin recovery by removing the topmost and proceed in that order till you access the tree farthest at the bottom. And it is logical for Nigeria’s recovery to follow the same pattern. We must begin with a rejuvenation of our value system. The home, the education system, the religious institutions and the traditional institution must come alive to this responsibility. The last three must rally to engender and facilitate a nation system where homes take their rightful place, where proper home-training and moral values are developed. 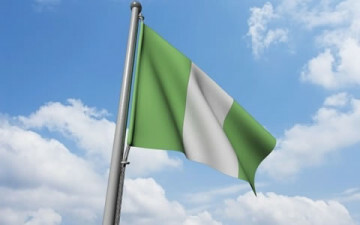 This will go along with a patriotic determination on the part of those with the responsibility of governance at all levels to engender good governance that would create opportunities. The common ingredient in all of these is that in home, in educational institutions at all levels, in religious institutions, in traditional systems and in government, those in leadership must live and/or be made to live by example. As all of these coalesce, for a true nation to emerge out of the country, there’s need to engender trust among the constituent parts of the country. There is need to understand our differences and fashion out mechanisms to respect and sustain our individual preferences while developing a collective sense of direction to harness our potentials. We should seize the opportunity of the on-going national conference to carve a joint ambition for development and greatness, developing an agreeable roadmap in the core areas of security, economy, education, health and infrastructure towards a great nation that would in the nearest future command the respect of the world. It is possible and it is up to us all. Finally, one germane suggestion to the political imbroglio, which would create an atmosphere of mutual respect and trust, is to work out a confederal system of government.